Welcome back. 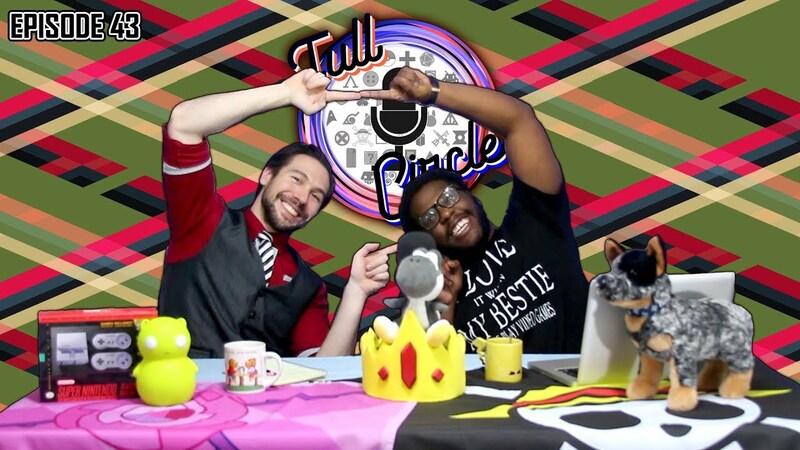 This week’s episode of Full Circle Podcast we’ll give our opinions as we loosely review the Netflix Series Disenchantment Season 1, Marvel’s Spider-Man on PS4, and We Happy Few from Compulsion Games. It’s a new year which means new games! Everyone’s excited about Red Dead Redemption 2 and Far Cry 5 but what about all the other games coming out this year? There’s a ton of gaming to be excited about but here are a few things that have us counting the days. Did 2K Kill Irrational Games? Did 2k Games kill Irrational Games? Some would say so, anonymous sources and I alike. Twitch is a great place to watch live streams but which are the most popular? Even during the darkest of times for people, video games and the friendships made in them can help shine a much needed light. The Best Buy Black Friday deals are now up for viewing. Can your wallet withstand them? Who Wants to Play Call of Duty: Advanced Warfare 24 Hours Early? Be one of the first to play Call of Duty: Advanced Warfare on November 3rd with the Day Zero Edition. Watch the official Call of Duty: Advanced Warfare gameplay launch trailer. Purchase a digital copy of Call of Duty: Advanced Warfare and receive a free next-gen upgrade… for a limited time! Hip Hop is increasing as an audio form for video games. We have listed five of the best trailers with Hip Hop music. What are your thoughts?